The more beautiful the music by which false doctrine is sung, the more dangerous it becomes. I appeal to all Latter-day Saints, and especially to our choirs, never to sing the words of a song, no matter how beautiful and inspiring the music may be, where the teachings are not in perfect accord with the truths of the gospel. (Teachings of the Presidents of the Church: Heber J. Grant, p. 167). Again, I know that I am not a “member” of this church, so perhaps I won’t be heard if I send in my opinion. Still, that won’t keep me from voicing what I think! 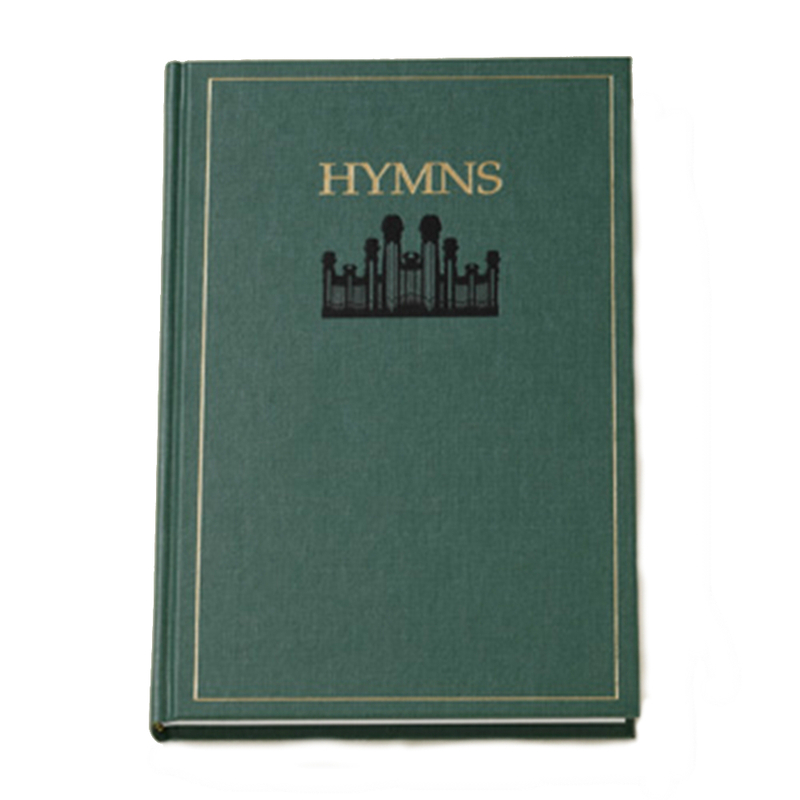 Using my copy of the 1985 Hymns of the Church of Jesus Christ of Latter-day Saints, allow me to suggest the following 10 hymns be eliminated from the new hymnbook because, as Grant says, these teachings I list below are not “in full harmony with the truths” of the biblical gospel. We thank thee, O God, for a prophet to guide us in these latter days. We thank thee for sending the gospel to lighten our minds with its rays. . . .Rejoice in his glorious gospel, and bask in its life-giving light. Thus on to eternal perfection, the honest and faithful will go, while they who reject this glad message shall never such happiness know. At a seminary class in Utah that I was allowed to observe a few years ago, I watched as the teacher made two stick men on the white board and then drew a brick wall between them. The figure on the right symbolized humans while the one on the left symbolized God the Father. Then he drew a man on top of the wall. This, he said, was the person who could listen to humans and hear directly from God so there could be reconciliation between God and man. Of course, this would have to be Jesus Christ, as 1 Timothy 2:5 says there’s only one mediator between God and man, the man Jesus Christ. However, the teacher explained that this symbol on the wall was none other than the LDS prophet, epitomized by then-current prophet Thomas S. Monson. This is not a blblical position, as there is no need for a human mediator when there is access to the Son (for instance, see Hebrews 1:1-2). Modern-day prophets who contradict God’s Word should not be lifted up in praise. For more, see here. I have a family here on earth. They are so good to me. I want to share my life with them through all eternity. While I am in my early years, I’ll prepare most carefully, so I can marry in God’s temple for eternity. Families can be together forever through Heavenly Father’s plan. I always want to be with my own family; and the Lord has shown me how I can. The Lord has shown me how I can. The Bible teaches that the earthly family is not eternal. Only the family of God, made up of all believers in Jesus, is. For a rebuttal on the LDS position, see here. And an angel surely then, for a blessing unto men, brought the priesthood back again, in its ancient purity. Even Joseph (Smith) he inspired. . . And the Book of Mormon true, with its covenant ever new, for the Gentile and the Jew, he (Smith) translated sacredly. God’s commandments to mankind, for believing Saints designed. And to bless the seeking mind, came to him from Jesus Christ. There is no evidence besides the testimony of Joseph Smith that these two events “restoring” the priesthood took place. In fact, there is no date in 1829 given for the time when the Melchizedek Priesthood was bestowed upon Joseph Smith and Oliver Cowdery by Peter, James and John, which is quite curious considering this was such an earth-shattering event. For more, see here. Keep the commandments; keep the commandments! In this there is safety; in this there is peace. He will send blessings; he will send blessings. Words of a prophet: Keep the commandments. In this there is safety and peace. D&C 25:15 quotes God as saying that a person is supposed to “keep the commandments continually.” Is this really possible? For a response, see here. Suddenly a light descended, brighter far than noonday sun, and a shining glorious pillar, over him fell around him shone, while appeared two heavenly beings, God the Father and the Son … . ‘Joseph, this is my Beloved; Hear him!’ Oh, how sweet the word! Joseph’s humble prayer was answered, and he listened to the Lord. Oh, what rapture filled his bosom, for he saw the living God. Our whole strength rests on the validity of that vision. It either occurred or it did not occur. If it did not, then this work is a fraud. . . upon that unique and wonderful experience stands the validity of the church (“The Marvelous Foundation of our Faith,” Ensign (Conference Edition), November 1992, p. 80. Ellipsis mine). The official First Vision story actually evolved over the course of close to two decades. For a response on the First Vision, see here. Rise, ye Saints, and temples enter; seek the path that leads ahead. Seal in everlasting circles all our loved ones, quick and dead. Learn the plan of exaltation; with His sacred laws comply. Live to earn in binding covenant blessings of our God most high. Elohim, thou great designer, wilt thou heaven’s powers bestow, as thy faithful sons and daughters serve in temples here below. The main purpose of the man-made temple in Jerusalem was for animal sacrifices for atonement of sins, but as the Book of Hebrews states, Jesus fulfilled this when he made the ultimate sacrifice. For information on the temple, see here. We are marching on to glory; we are working for our crown. We will make our armor brighter, and never lay it down. Then day by day we are marching, to heaven we are bound. Each good act brings us nearer that home where we’ll be crowned. The Bible teaches that Christian believers are saved by grace through faith and not by works (Eph. 2:8-9). To think our works has anything to do with our justification before God is audacious (Romans 3:28; Titus 3:5). Mormons are taught that they can rule as gods on other words in the next life. See our response here. If you could hie to Kolob in the twinkling of an eye, and then continue onward, with that same speed to fly. Do you think that you could ever, through all eternity, find out the generation where Gods began to be? Or see the grand beginning, where space did not extend? Or view the last creation, where Gods and matter end? . . . The works of God continue, and worlds and lives abound; improvement and progression have one eternal round. There is no end to matter; there is no end to space, there is no end to spirit; there is no end to race. We are marching, marching homeward to that bright land afar. We work for life eternal; it is our guiding star. How is it possible for physical matter to be eternal? See here for more information. If you are a Latter-day Saint, how are you doing at keeping the covenants you make at sacrament meetings and temple ordinances? Do you obey what you promise? Does not keeping the commandments continually provide any reason to “rejoice”? See here and here. Praise to the man who communed with Jehovah! Jesus anointed that Prophet and Seer. Blessed to open the last dispensation, kings shall extol him and nations revere. Sacrifice brings forth the blessings of heaven; earth must atone for the blood of that man. Wake up the world for the conflict of justice. Millions shall know ‘Brother Joseph’ again. Refrain: Hail to the Prophet, ascended to heaven! Traitors and tyrants now fight in vain. Mingling with Gods, he can plan for his brethren; death cannot conquer the hero again. Praise to his memory, he died as a martyr; Honored and blest be his ever great name! Long shall his blood, which was shed by assassins, plead unto heaven while the earth lauds his fame. Great is his glory and endless his priesthood. Ever and ever the keys he will hold. Faithful and true, he will enter his kingdom, crowned in the midst of the prophets of old. Joseph Smith was not a martyr. Except for Jesus, no person considering herself to be a Christian ought to praise someone as the Mormons praise Joseph Smith, a man who understood how to boast.